These were probably the words that rang in Melinda’s heart as she walked down the aisle to meet her man, in the midst of empty chairs. As she took each step towards him, she knew she wasn’t sure of what she was about to get into, but she held on regardless, hoping her love for him will heal all wounds and kill all uncertainties. Well, she was wrong! It didn’t!! It only became an obsession!!! 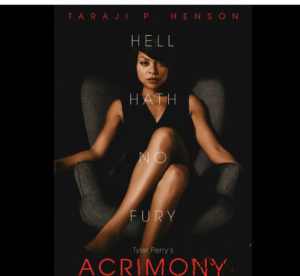 Several argument has risen as regards Tyler Perry’s most recent Movie; ACRIMONY as people are of the opinion that the man should be blamed, while some others feel the woman should be blamed and few other people feel the film is ‘just a waste of emotion’. 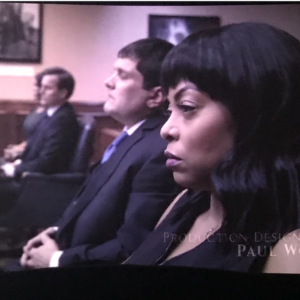 Well, in actuality, the film is just the truth being thrown rudely into our faces and it is time we looked beyond our emotions and faced the realities in our world. We think we understand certain things about having a happy marriage, but, if we do, why do we still have several cases of divorce and or a couple killing the partner? 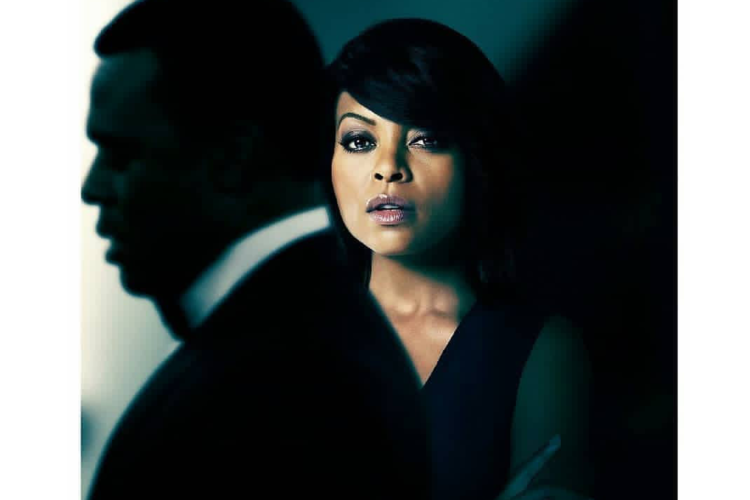 In this film, every major character has a major share of the blame in ruining the fantastic relationship between Melinda and Robert, including the duo themselves and looking at the origin of their downfall, one would say it is the marriage. Marriage is too long a phase for one to make a mistake or plan to manage it. Before you walk down the aisle, you should ask yourself severally if you wouldn’t mind waking up to this person for the rest of your mind. This is the stage of being attentive to one’s inner self because emotions will fail you someday if you base your decision on a heat of emotion. In as much as love is important, if it is situated in a wrong environment; it will turn to an inexplicable hatred and or an obsession that will finally lead to destruction. Come to think of it, Melinda at the point she was going to say Yes to Robert wasn’t sure she wanted to spend the rest of her life with a man who she doesn’t trust and her sisters are not in support of. Yet, she did it, which was the biggest mistake of her life. No doubt Robert messed up by cheating on a woman who gave him her all. But, one thing we all should learn is, in courtship, if our partner messes up so bad that it ruins our trust and questions our love for him, we have two options; to either forgive and move on, or forgive and let go. Don’t force what isn’t coming anymore. For Melinda, if at the point of saying Yes, she was sure, it would have been almost impossible to be talked out of that marriage regardless of what went wrong. After all, that kept her with him before he ruined the trust. Is this where you talk about her loosing her womb? Ohh, she lost it to anger, impatience and over reaction. You are a beautiful woman, strong and amazing man. You should not allow a partner Rob you off your personality. 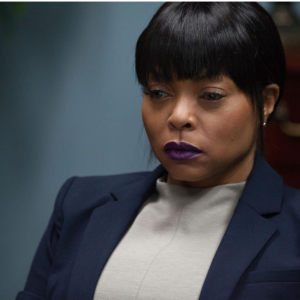 If he/she believes the best way to repay your love is to cheat, you don’t go around ruining yourself in the process because at the end, you will suffer your pain alone! For the man, he was a lazy ingrate and it is important for the men to understand that a woman who decides to give you her all isn’t foolish, but believes in you enough to invest in you. Many of the men will go out there to say women are there for the money and will never mention the parts they make sacrifices for them. Robert had no excuse to cheat on Melinda two days after she bought him a car! Well, let’s call it youthful exorbitance but this was what cost him the good woman he fell in love with. In sincerity, he didn’t cheat on her after then, but it was disrespectful of him to have anything to do with the same woman you cheated on without seeking your wife’s understanding first. There is a thin line between explanation and excuse. We all should learn that. Also, he got too comfortable with the luxury she gave to him that he refused to get himself a job, rather watched his wife shuffle between offices to keep her home and her mother’s house. No responsible man does that! Truth is, it is good to have dreams, but don’t sit in your room, waiting for your dream to explore. Importantly, he couldn’t give a second chance; one which Melinda did not hesitate to give him when he messed her up. Although reluctant to grant a divorce, was quick to pay her off and get into another relationship when the money came. And about being grateful to the other lady, it isn’t a reason who zone out of someone who had given you her all in thick and thin because another has given you the hit favor. It’s okay to be grateful, but don’t get ungrateful to other people in the process. Really, Robert shot himself in the leg. Marriage truly is quite complicated as many believe, but have we ever processed the fact that the most ingredient in marriage is PEACE? It is on this ingredient that others such as love, understanding, communication, trust etc will feed. The moment the heart lacks peace concerning a particular person, all other ingredients becomes toxic! About the role other characters played in ruining the marriage and how it connects to us as individuals… Read up next week.